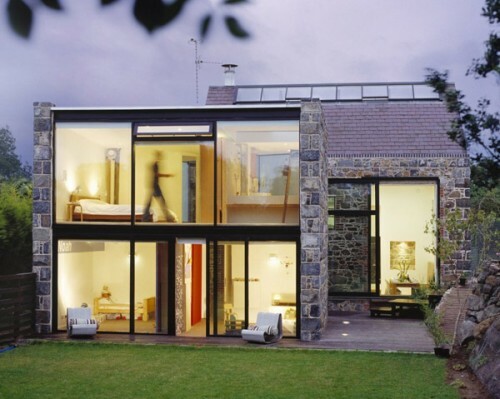 Who would have thought that this modern stone and glass house used to be a barn built way back in the 15th century? Any stranger would never have guessed or even come to think that this chic and modern home was born out of a historical structure. 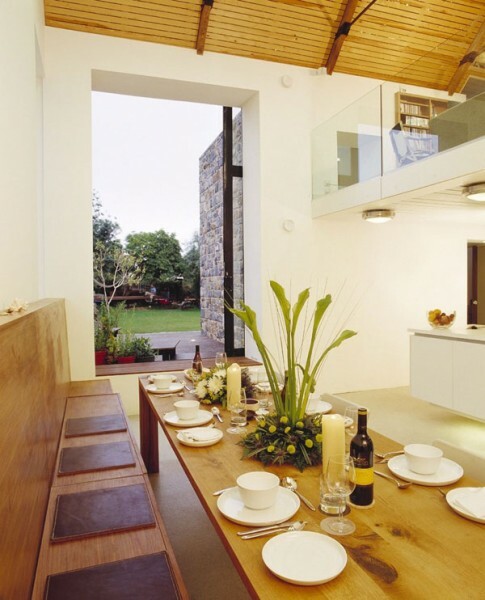 MOOARC architects have transformed the barn inside-out and has used its natural elements to come up with a stylish yet earthy feel throughout the house. The house shows no trace of the extreme ruggedness of the barn although, there is still a bit of stylish “rust” that you can feel in every room. The idea of an open house is perfectly executed by the glass finish that allows you to see through the outer spaces of the house. 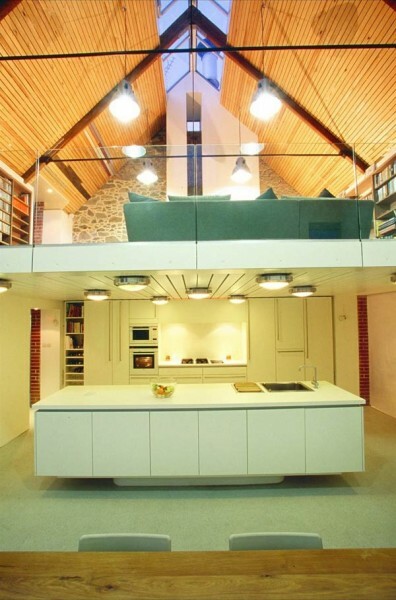 The mezzanine which holds the living room sits above the kitchen and dining area. This is the part of the house which portrays a more barn-like structure where a level is hanging over the other. 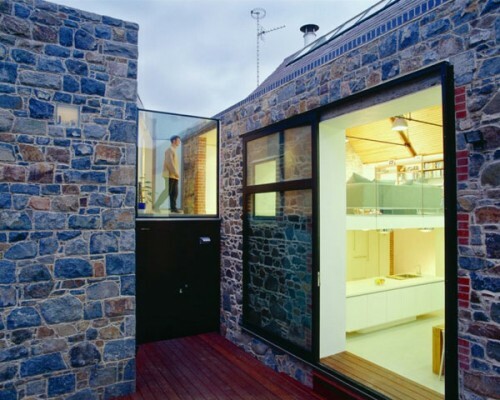 The architects have utilized this space in a way that they will work well enough for their function. 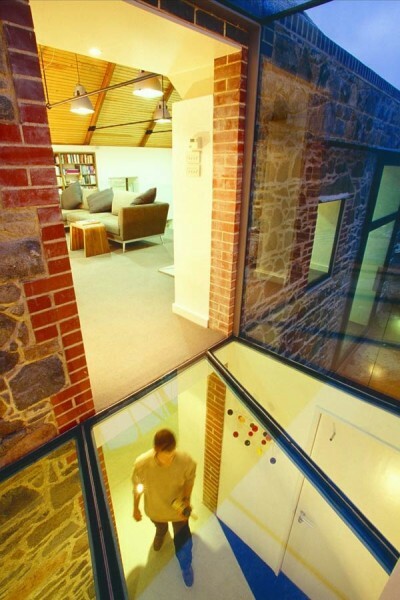 The glass hallway which leads to the bedrooms is probably one of the best features of the house. However, ladies may want to watch out if they’re wearing skirts. This stylish hallway allows for more natural light during the day, and makes the house stand-out during the night. 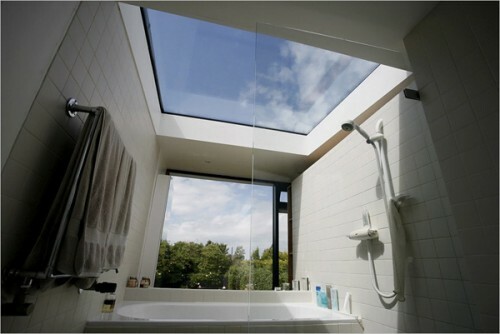 People will surely enjoy looking up and down while walking through. I think that the barn as the foundation and inspiration for the flow of the entire house has really pulled it all together. 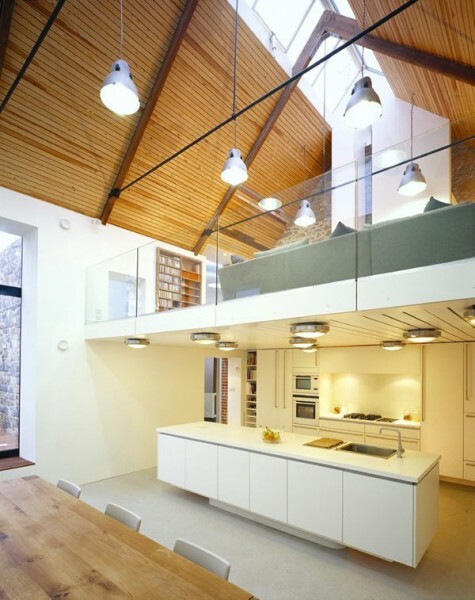 The spaces are open and refreshing to the senses thanks to the high ceilings and the glass finish. 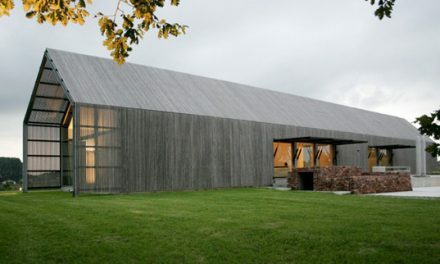 Despite stone and glass being the main elements, the home holds a sense of warmth keeping true to the feel of a barn.